Our Chief Tease can be a broken record at times. "What would help hoteliers drive direct bookings?" The track just keeps cropping up. TRIPTEASE: Tell me about GCH; what role do you play in a hotelier's daily routine? DANIEL: As a hotel management company we work with all sorts of different hotels and play slightly differing roles for each. Most hotels organise themselves on a local level across all spectrums of hotel management. This means planning out everything from staff to maintenance to e-commerce to distribution channels and revenue management - everything. We can help out across each of these. 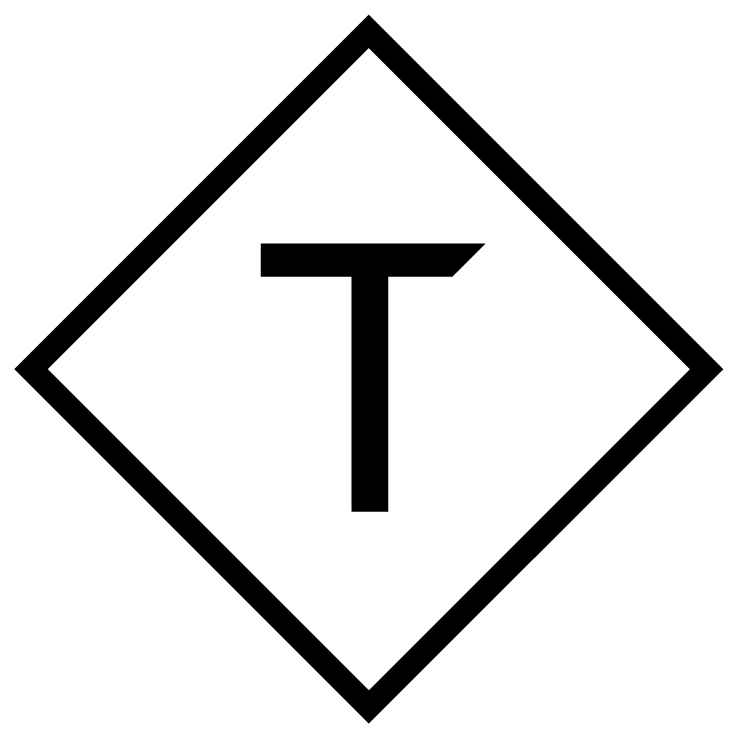 As Director of Digital Promotion, I work on the digital side of this, which is how I come to know Triptease so well. TRIPTEASE: Great. So you must have a perfect vantage point on the hospitality industry. What do you find the most interesting trends so far this year? DANIEL: A lot of things have changed in the past year. Online connectivity and the mass use of search have really bucked the old trends. At GCH, we have a yearly strategy meeting, however we find we need to readjust this up to three times a year because of industry changes. In the last two years, a lot of this hinges around mobile; websites as a booking tool - more than as an exposure tool. Websites simply have to be responsive, not only for PC and iPad, but for mobile, where in a growing number of cases, we're seeing customer journeys conclude in a booking. TRIPTEASE: Absolutely. What kind of thing do you do to add a touch of sparkle to a website or mobile site? DANIEL: The way that people are seeing images and videos has changed through mobile, and we've grabbed a hold of this trend to maximise our exposure. How? We made the first-ever virtual reality portal for travel. So now we not only have a mobile responsive portal, but also a virtual reality responsive portal. You can see all the 130 hotels we have in the chain as if your were there. TRIPTEASE: Yes - I was exploring them this morning actually! TRIPTEASE: How do you drive increased revenue? What are the key areas within that? DANIEL: Well, with your Direct Booking Summit in mind, I'll share a little fact about us: we are now driving more and more direct bookings year on year. It's our core goal this year and I believe it will be the same next year. We want to encourage people not only to use the website, but also to book, to finish their journey on the website. We understand that people now are looking and searching for hotel names, specific hotels. Sometime this may be because they saw them listed on an OTA. But satisfied with the price, they copy and paste the exact hotel name into the search engine to find out more. And voilà, a guest ready to book direct, if given the right information. "Direct bookings are our core goal this year and I believe it will be the same next year"
So here's what we're doing: First, improve our positioning on search engines, making sure to cover all our hotel names – no matter how people are writing them – in the highest organic rank on Google. Second, provide more images and better visual exposure – we call it the ‘true picture’ of the hotel. We found that the information that we are giving on the stand-alone websites is much better quality than that on the OTAs websites. This increases the possibility of people booking on our website. TRIPTEASE: Definitely. Plus that sort of transparency is far more authentic. DANIEL: Of course. Then there's one more important thing that is happening now: Go to Google Trends and take a look at the results for Booking.com, HRS or Hotels.eu in Germany – you will see that they are in decreasing popularity. This too opens up a possibility for management companies or hotel chains to drive people to book directly on the stand-alone websites. TRIPTEASE: How should hotels be reacting to Airbnb and the sharing economy? DANIEL: Yes we’ve explored this question. You know, sometimes you cannot fight it. We see that this is driving more travel people to the cities and to the places we have hotels. So, I think in a matter of time it will be a positive trend. Airbnb enables and encourages travel. On the other hand, if we want to challenge this kind of rental – small, fast rental – we need to try to show people why they should try a hotel next time. We need to open their eyes to the things they can do in the hotel that they cannot do in a rental apartment. It's a challenge, in a way. In Germany, as you know, Airbnb have lots of legal hoops to jump through; hit by the same taxes as hotels, they might struggle to remain competitive. TRIPTEASE: So what's the verdict? DANIEL: I think it’s a positive thing that people can come to the city. I see opportunity; the possibility that their next stay might be at one of our hotels. TRIPTEASE: What about hotel bookings through TripAdvisor or Google? Do you think of them as direct bookings or are these the new online travel agents? DANIEL: It all depends on where the data stays. And that’s it. That’s really it. If the OTA is a partner - a full partner - you don't get to see any data. This is a really big problem. There will always be partnerships. The OTAs will always come in different forms and I see companies changing names or changing the way they make people book by driving them to activities, to themes; by reacting to their moods on social media. There are many ways to drive people to book through OTAs. For hoteliers, this poses the challenge of encouraging loyalty. Really though, it’s a win-win situation for the hotel: one way or another, people come to the hotel and stay, so it doesn’t matter how they got there. What's important is how to ensure they book direct next time. TRIPTEASE: So aside from a polished website, how can a hotel encourage guests to book direct when they return? DANIEL: The most important stage is the experience stage. It’s not the online or the post-stay. It’s the experience stage. This stage will mean that if people are loyal to the hotel to book next time through direct booking, they will share their experience. We do have a lot of online activities but the most important stage is the one we call the experience stage: when people are actually in the hotel. It doesn’t matter how they reach the hotel as long as they become loyal once they're there. "What's important is how to ensure guests book direct next time." TRIPTEASE: How do you feel about hotel tech and loyalty apps? DANIEL: You know, it’s so different depending on the country. My experience in Germany is that web applications and websites that are mobile responsive work better than an app. An app is very good when you have loyalty; when you’re a loyalty member of some company. Or, if you use the app not only for booking, but to see your status when there is interaction between the chain and the guest – or the potential guest. But if we are talking about bookings and exposure, people go to mobiles and search. They don't exclusively check one app. They go to Google and search. So when they search, a web application will have far greater impact than an app buried in the AppStore or Google Play. In the presentation that I sent you there is a report, from the past three months. You'll see that one of the most important things with people before they book is the stand-alone website of the hotel and the second one is what they see inside. It’s the images, the videos. So this is why the mobile or web application has a strong possibility to really win the battle of direct bookings; more than an app. TRIPTEASE: Tell us more about Direct Bookings! What kind of initiatives have you and the GCH team done to increase them? Has this a success? DANIEL: Step 1: have a stand-alone website for each one of the hotels. Step 2: each one of these websites must be responsive for mobile and for any device, even a Smart TV. Step 3: That website needs to be well exposed, regardless of which device your guest is using. You need to show up on search engines, so get working on that SEO. At GCH we're pretty good at this - take a look: when you search for one of our hotels it will always appear at the top of the organic list. As I mentioned, paid advertising is a different kettle of fish because you can't compete with the OTAs. They unfairly use the exact name of our hotels. And they'll always be able to pay more. What you can do however, is be the first organic response. Finially, think functionality. You need to understand the customer journey and if they want to book they need to book fast. These are the five things that I think are the most important and we are working on them. "You need to understand the customer journey." TRIPTEASE: Have you seen a change in the number of direct bookings in comparison to last year? DANIEL: Yes we've definitely seen growth. I can't share the percentage, I'm afraid, but we've seen a big impact from these 5 steps. TRIPTEASE: Hilton is rumoured to have spent $1.3M in their ‘Stop Clicking Around’ TV advert. How do you think we can communicate a way of direct booking when your budgets are not quite as big as an empire like Hilton’s? DANIEL: You know it’s so simple to have a good competitive website. It’s so simple to sit down and understand the customer journey. You know the five points that I mentioned before? It’s simple - if you are friendly with Google, let’s say, or with the search engines without playing tricks or anything – to convince the search engines that you are relevant for your name, your brand, your city and your hotel. I think, again, without so much money you need to figure out how people view you. Because with this stuff it starts to change. People will come to your website. They will definitely come. You see that people are cutting and pasting your hotel name into search engines. Even those who were ready to book on the OTA page will pop onto your hotel website in search of more pictures, more activities and the location. They will come to your website. And if you have a nice website, and it looks modern and slick, and incorporates an easy navigation, clear messaging and pricing, they will definitely remember you - and you might just find they book direct too. If you don’t have such a huge budget, this is the way to work. TRIPTEASE: Thank you so much for your time, Daniel, it’s been really helpful speaking with you.